Most people think that all the deer in Illinois have died due to disease….we’ve had, and continue to have, excellent seasons and anticipate all the subsequent years to be of equal quality or even better. Those that missed this season, missed a good one. We have a lot of mature deer that we are looking forward to seeing what they will become in the near future. 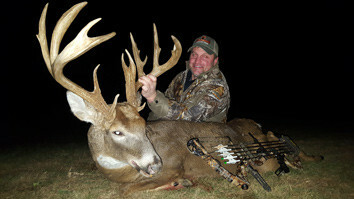 Don’t miss out on the buck of your lifetime, book with us and hunt your dream buck!